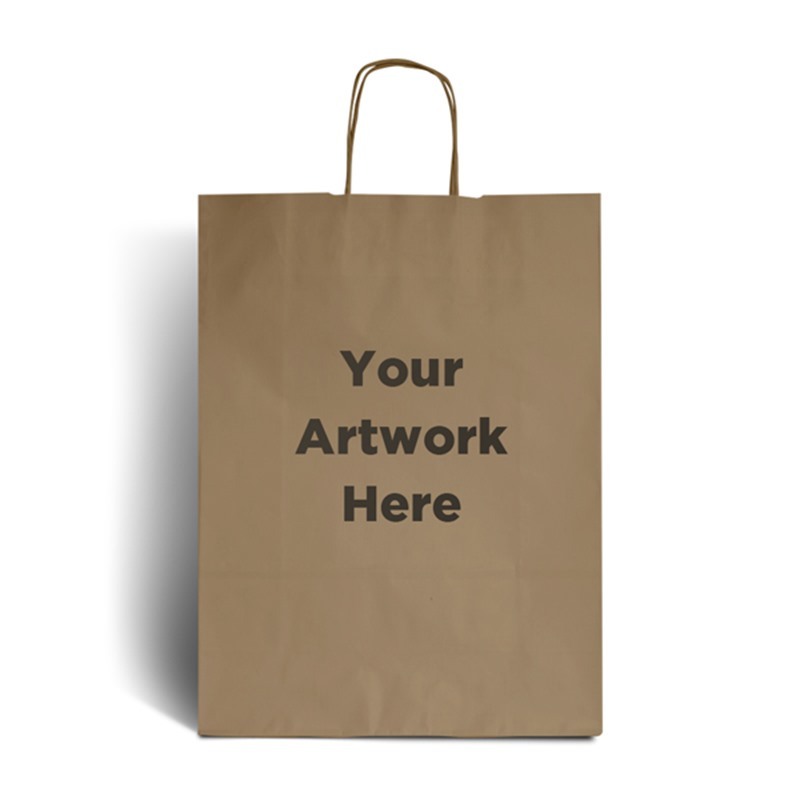 These Brown Paper Carrier Bags with Twisted Handles are one of our best selling and most popular bags – and we now offer them personalised meaning you can create an even more stand out product! 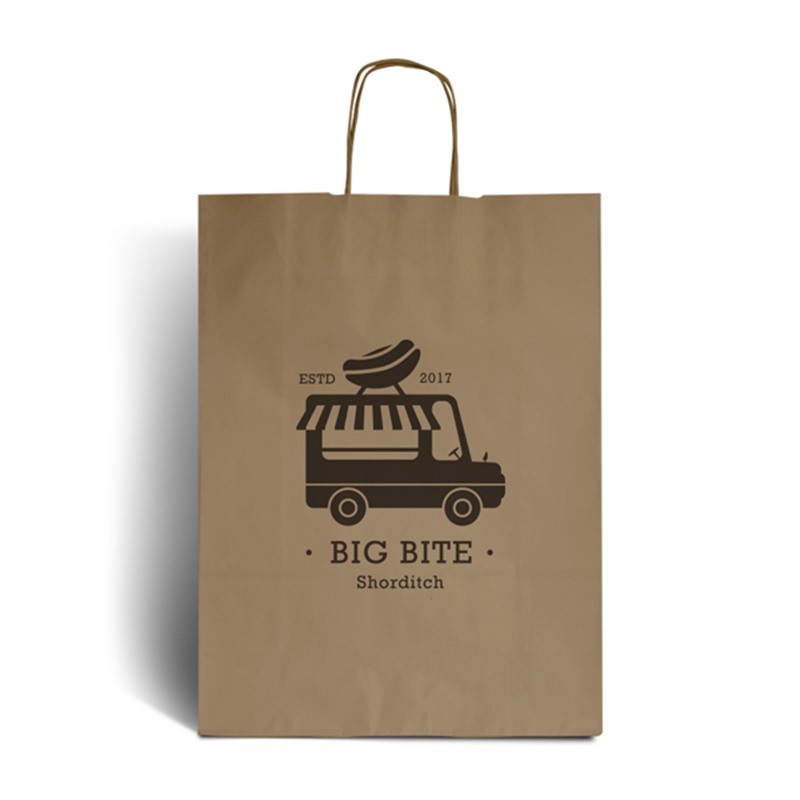 The bags are manufactured in Italy from a quality ribbed kraft paper, and we overprint onto them in the UK with top quality printers. They also feature a twisted handle and are 100% Recyclable and 100% Bio-Degradable, an ideal alternative to plastic.